“One day during the administration of President Coolidge, the Chief Justice happened to drop his cane just as a small boy of about seven came by. The boy picked up the cane and handed it politely to Taft, who thanked him with the radiant warmth which was so characteristic. “A day or two later they met again. ‘I know who you are!’ said the boy. ‘You used to be President Coolidge!’ “ (Pringle 964). 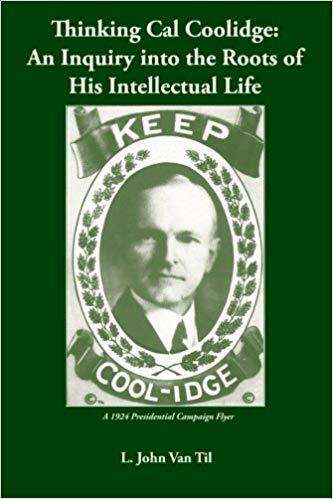 While the amiable Chief Justice was a frequent visitor to the Coolidge White House, he shared in the impression of even those closest to Coolidge who felt the chill from time to time that resulted from giving the President unsolicited advice. Taft, who knew the weight and obligations of the Presidency better than anyone close to Coolidge, never let incidentals like this get in the way of his friendship with Calvin and Grace. Having met in 1914, Coolidge and Taft always kept the highest respect for one another, as the exchange below illustrates. 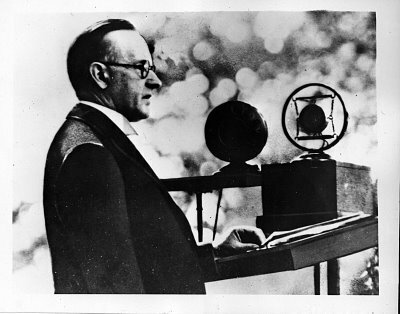 Writing to his father, Coolidge said of Taft, “what he said was so much like what I had said that I sent him a copy of my address he sent me the enclosed letter which you may return to me, also an autograph copy of his book on Popular Government…” In that enclosed letter, Taft, characteristically self-effacing, told Coolidge, “I have read what you said to the Senate upon your taking the Chair [Coolidge’s famous January 7, 1914 speech], and it is so fine that I thank you for sending it to me and for giving me an opportunity to read it. It strikes a chord in my heart that responds to every word. I have pleasure in sending you a little volume that has been published of ten lectures which I have delivered on Popular Government and also three addresses that I have made which are not included in the book, to file away, with the certainty that there is nothing in them which says as well as you have said it the truth with respect to government, but that there is also nothing in them which differs in spirit from that which you have said” (“Your Son, Calvin Coolidge,” Edward C. Lathem, Montpelier: Vermont Historical Society, 1968, pp.126-7). 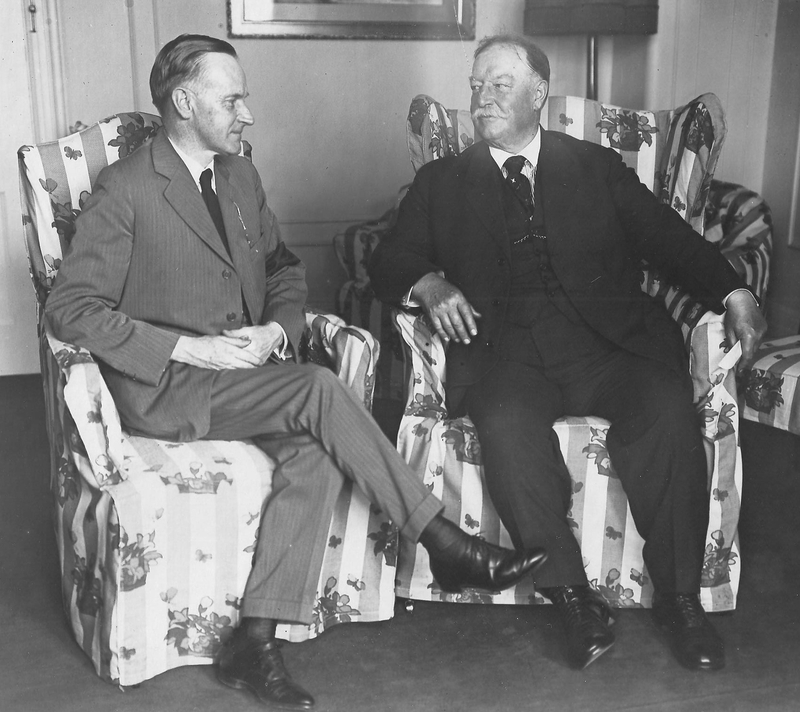 President Coolidge meeting with Chief Justice Taft at the New Willard Hotel within the first week of succeeding to the Presidency, August 1923.